Edward Cory Kunz was born April 8th, 1986 in Portland Oregon. The big six foot six, 230 pound right hander attended Oregon State University where he earned the nick name "Fast Eddie". Kunz was drafted in the first round (42nd pick overall) by the New York Mets in 2007. At A ball Brooklyn he was 0-1 with five saves for the 2007 Cyclones team, getting promoted to AA Binghamton the next season. There he was the teams closer saving 27 games, finishing 39 games posting a 1-4 record with a 2.79 ERA. 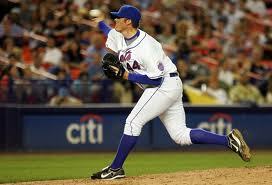 That season the Mets bullpen was struggling when they lost closer Billy Wagner for the season. Kunz was brought up on August 3rd pitching the 7th inning in the Mets 4-0 loss at Houston. He would make just four appearances in August, allowing three runs in his last outing at Pittsburgh in a Mets 7-4 win over the Pirates. In 2.2 innings pitched that season he allowed four runs for a 13.50 ERA, striking out one batter & walking one batter. He was sent down to AAA New Orleans where he went 0-1. In 2009 he pitched at AAA Buffalo but was no longer in a closing role, going 4-5 with a 5.02 ERA. In 2010 he was tried out as a starter for 12 games. Overall in 42 games he was 7-8 with a 5.34 ERA. 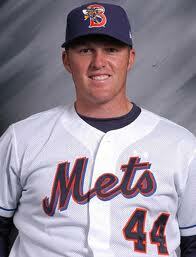 In March 2011 he was traded to the San Diego Padres organization for Allan Dykstra who is not related to Len Dykstra. Kunz was 2-1 in 52 games at AA San Antonio in 2011.In 2012 he pitched at AA San Antonio & AAA Tuscon going 6-6.